Immerse yourself in every season at Wellfield Botanic Gardens. Experience the unique events, diverse educational programs, garden exhibits, and seasonal gifts throughout the year at Michiana’s most beautiful location. To view upcoming Educational programming, visit our Education Page. Join Robert and Peggy Weed Executive Director Eric Garton for a (weather permitting) tour/update of the Gardens; make sure you are getting the most out of your membership! Dates are scheduled throughout the year; click the link above to view upcoming sessions and to RSVP. April through November – 8 a.m.
Four Winds Garden Club Plant Sale– Saturday, May 4th 8 a.m. – 1 p.m.
Sunday, May 12, 2019 – click this link for more information and to purchase tickets! This popular event always sells out, so don’t delay in making your plans to celebrate Mom! A Celebration of the Nation’s Public Gardens; National Public Gardens Day was created in 2009 to drive local and national exposure to the importance of building vibrant, relevant gardens committed to community enrichment and environmental responsibility through community engagement, sustainable practices and conversation. A Summer Evening in the Gardens – Our premier party of the year! Taste of the Gardens Our Sensational Summer Finale! SUNDAY, August 25, 2019, 11 a.m. – 6 p.m.
Returns November 22 – December 27, 2019! An unofficial holiday started by North Carolina wildlife rehabilitator Christy McKeown in 2001. Join us on Facebook for an engaging, interactive day of trivia, fun facts, and other squirrel-related antics from dawn til dusk, celebrating our furry friends. 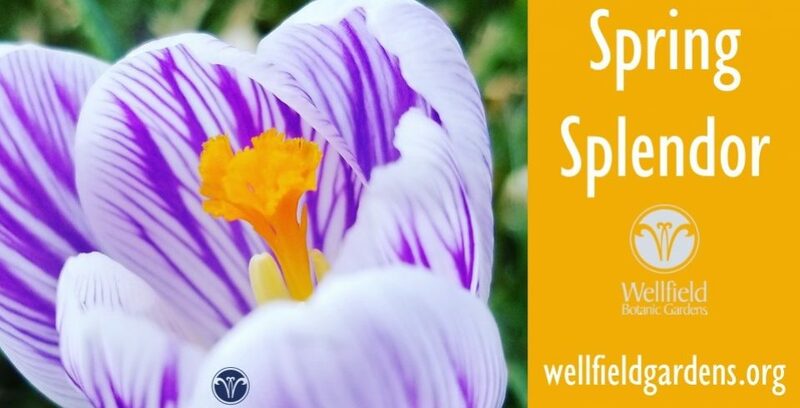 For more information or questions about our programs email info@wellfieldgardens.org or call 574-266-2006. I heard about your winter events on the radio,,is it true that you have fire pits that the public can come out and enjoy ? if so can I please get some info about it,like times and days it will be going on..Thank you,Dave Geesaman Elkhart..